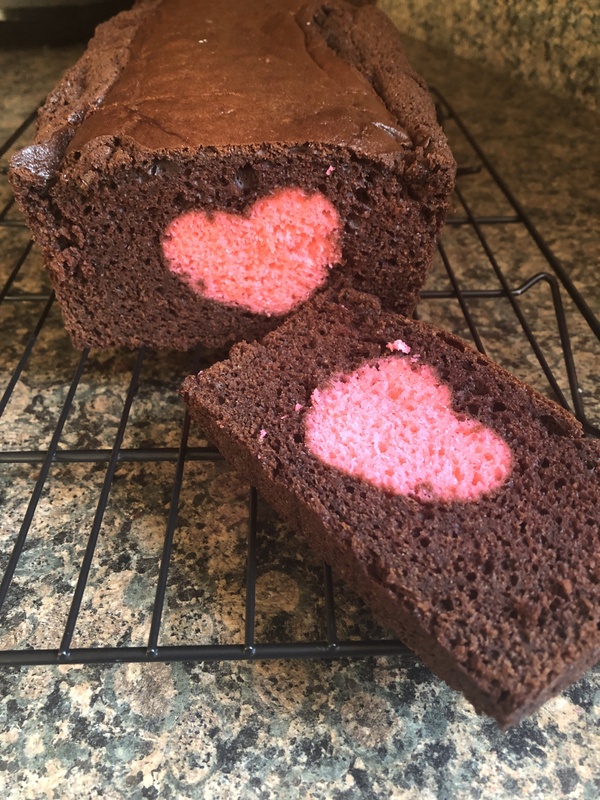 Are you looking for something fun to bake for Valentine’s Day but are thinking that it’s too late? Well, this may just be the cake for you. 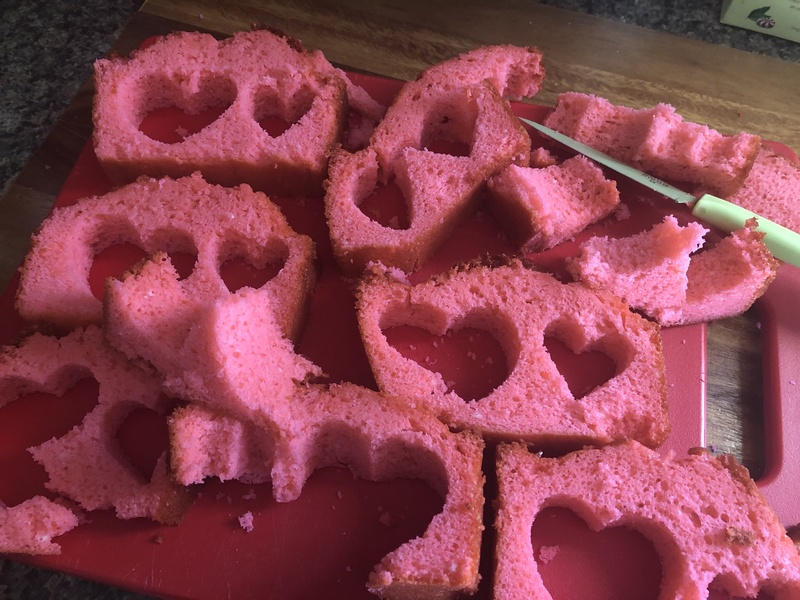 All you need is 2 boxes of cake mix (I used white & chocolate), a loaf pan, a 2-inch heart cookie cutter and pink (or red) food coloring. 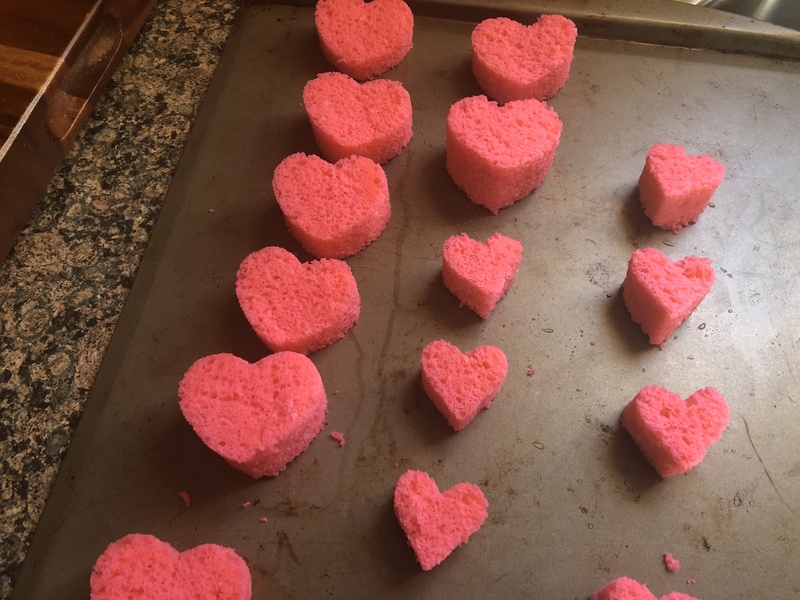 While I used a white cake mix tinted pink for the hearts inside of a chocolate cake, you could try pink hearts inside of a white cake, red hearts inside of a white cake, red hearts inside of a yellow cake and so forth. It’s really up to you. 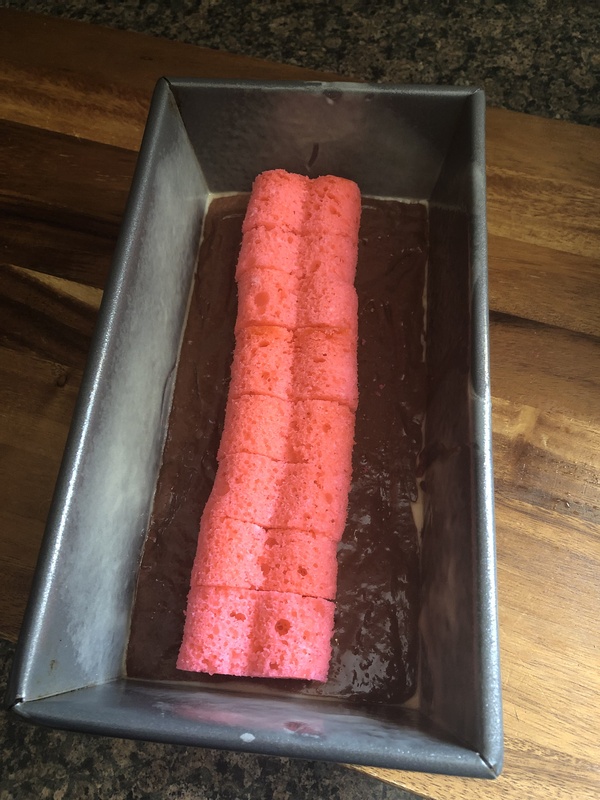 To begin, I prepped a box of white cake mix per the directions and then tinted it pink with a few drops of gel food coloring. 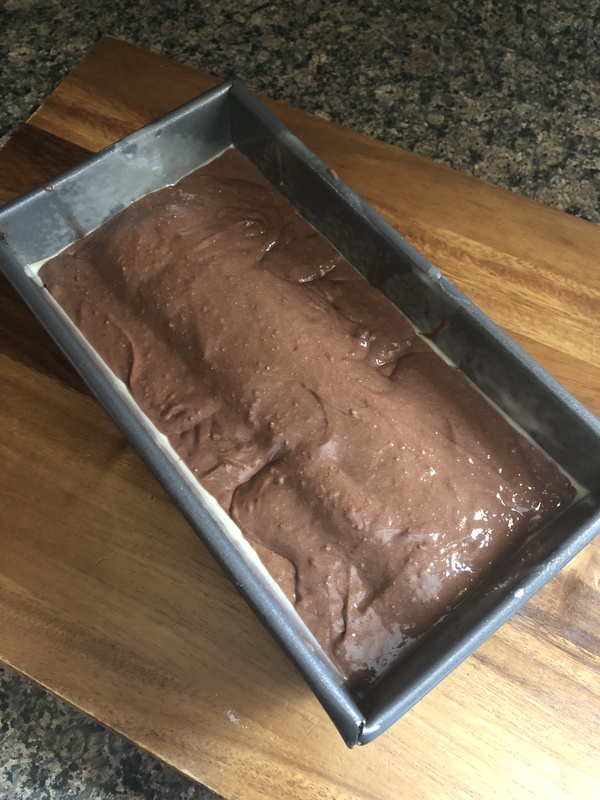 I poured it into a loaf pan that I sprayed with baking spray and baked it in a 350 F oven for 40 minutes, the cake wasn’t quite done but was browning considerably along the top so I dropped the temperature to 325 F and baked it for another 10 minutes. 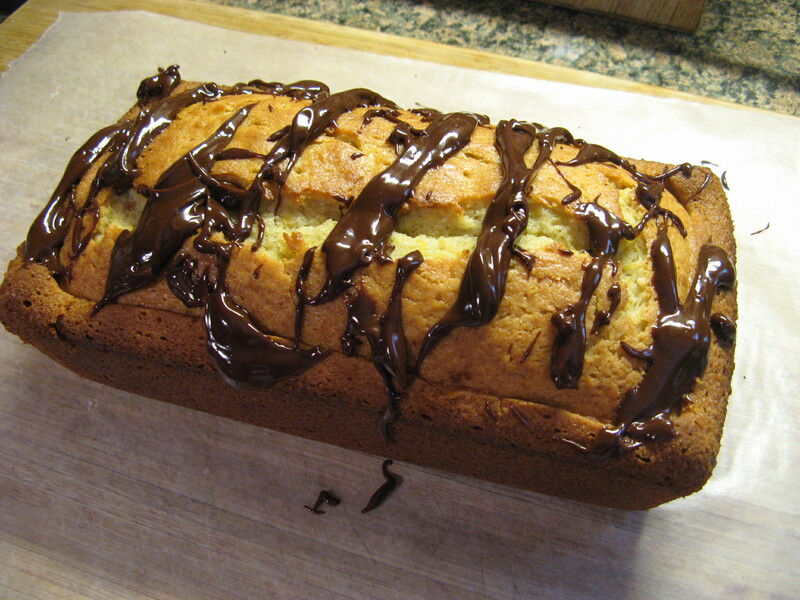 I let the cake cool for about 20 minutes in the pan and then transferred it to a wire rack to cool completely. After the cake cooled, I sliced it into approximately 1 inch slices. Some of the slices were a little thicker, some a little thinner. In the end, it didn’t matter. 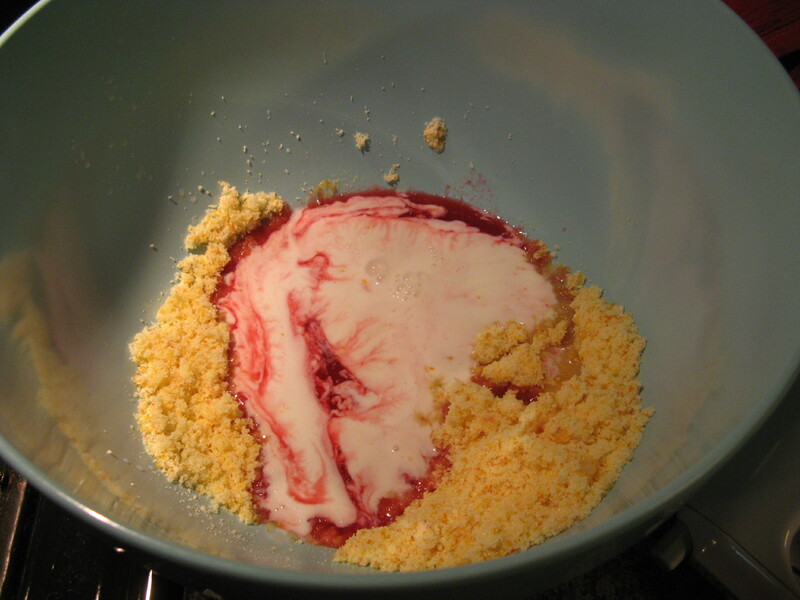 Next, using a 2-inch heart cookie cutter I cut hearts from the slices of cake and set them aside. Those mini hearts were for a different baking project that turned out to be a fail… Oh well. 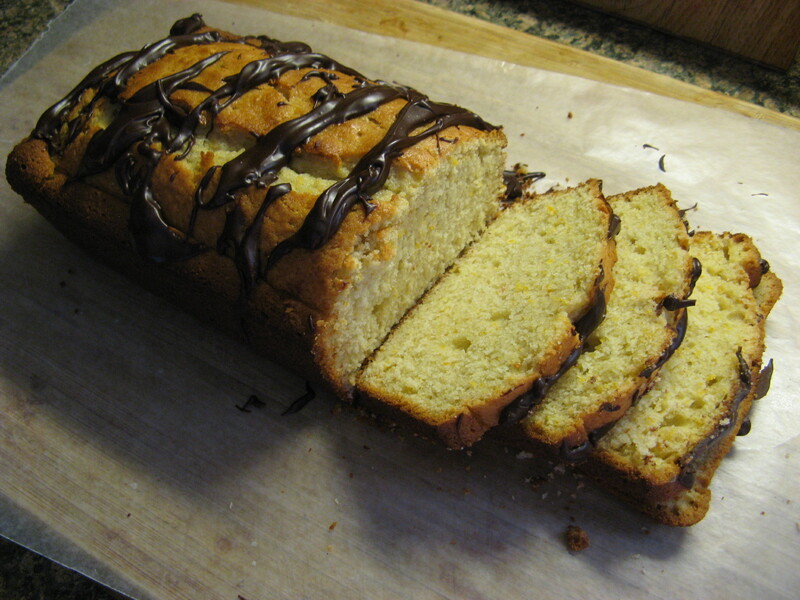 You will have a bunch of cake scraps left, I ended up snacking on a few pieces and then tossing the rest. 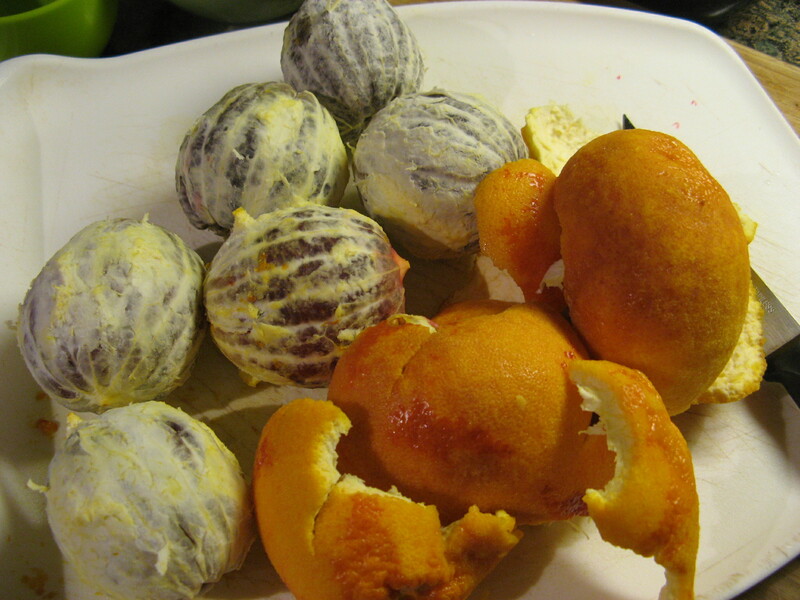 If you make cake pops, or have been wanting to make cake pops, save these scraps for just that. I then prepared the chocolate cake mix per the box directions. 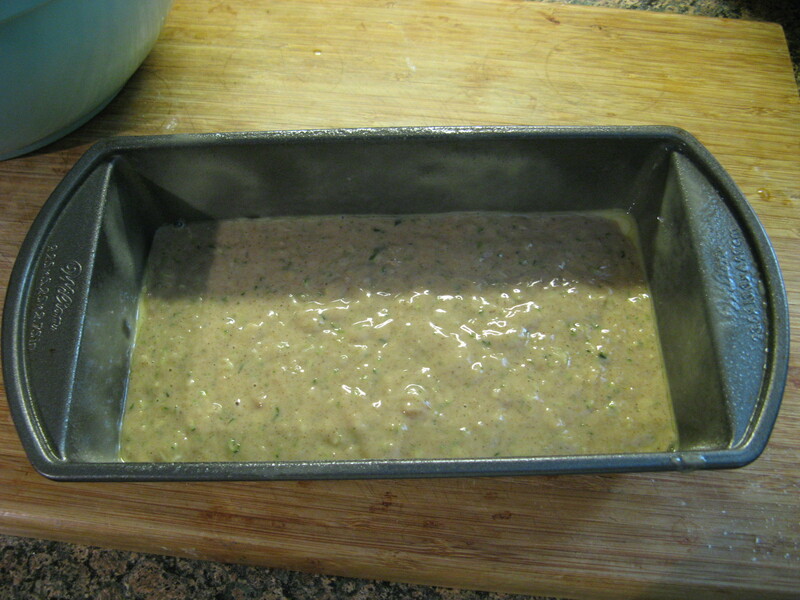 I spread about a 1/2 inch layer of the batter into the bottom of my loaf pan that I prepped with baking spray. Next, I arranged the 2-inch hearts in a row down the middle of the pan, leaving a small space between the first and last heart and the pan, but, making sure the hearts in the middle were close together. This is why I said that if your slices aren’t exactly 1-inch thick it won’t matter. Once you line them together it will all be good. 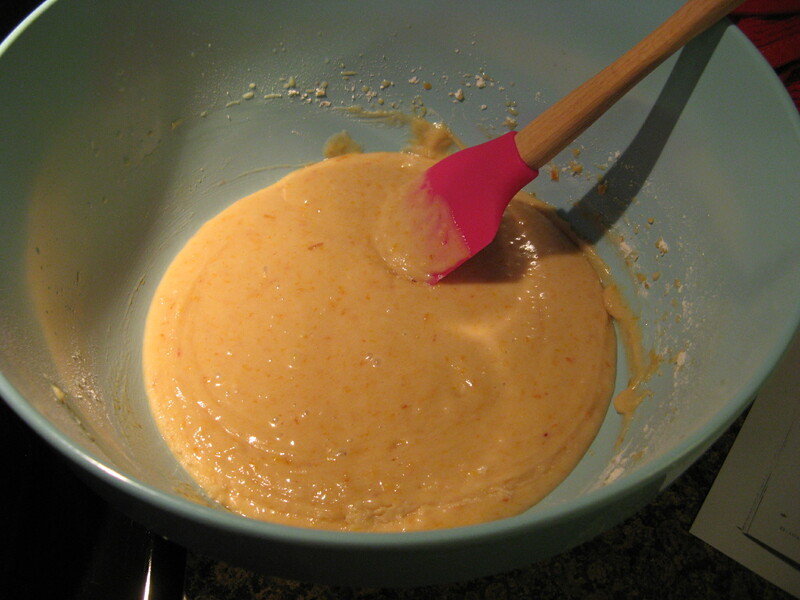 I used a ladle to slowly pour the rest of the batter along the sides and on the top of the hearts. 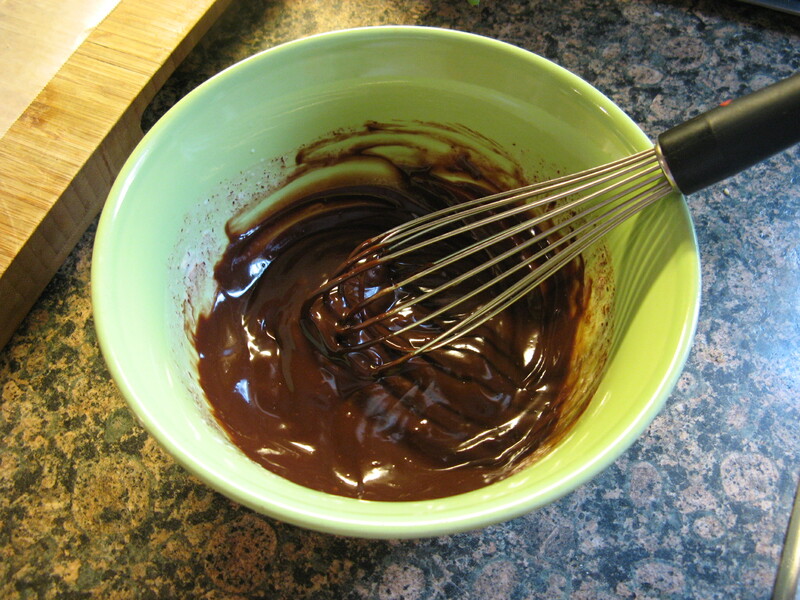 You don’t want to just pour the batter into the pan, this could disturb the hearts and you could end up with chocolate in between them. I did make sure that the hearts were completely covered with the batter. You don’t want a heart peeking out of the top of the cake… that would ruin the surprise. I then baked it in a 350 F preheated oven for about 40 minutes. 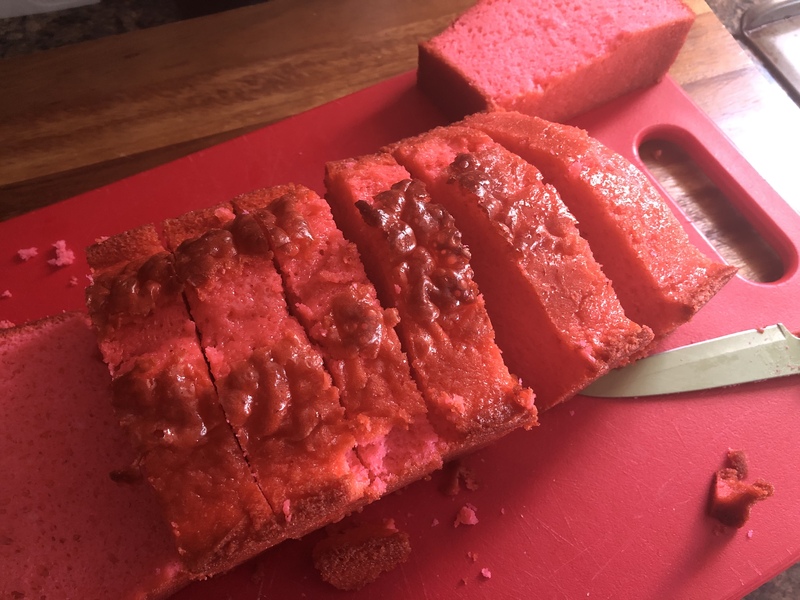 I inserted a cake tester and the inside was still a little underdone so I lowered the oven temperature to 325 F and baked it for an additional 10 minutes, similar to what I did with the pink cake. Once again, I let the cake cool for about 20 minutes in the pan and then removed it and let it completely cool on a wire rack. 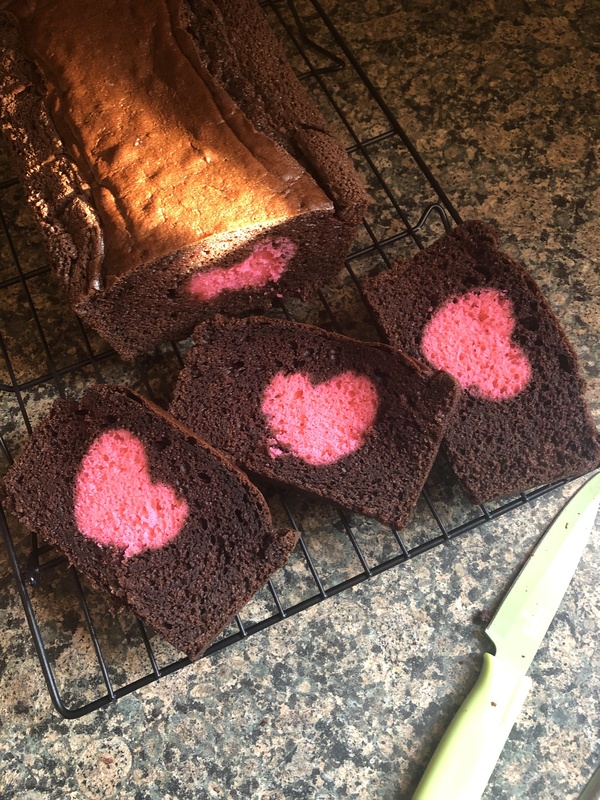 Once it was cool it was time to slice and see if my hidden heart cake was a success (and it was)! It’s finally Fall and you know what that means – well, it’s already in full effect – Pumpkin Spice everything! It really is amazing how many different things come in Pumpkin Spice. I actually picked up a box of Pumpkin Spice Cheerios last week while grocery shopping. I haven’t tried them yet though. And while at Target the other day I saw Pumpkin Spice Caramel Corn, but, I just couldn’t bring myself to buy it. There has to be a line drawn somewhere… LOL! 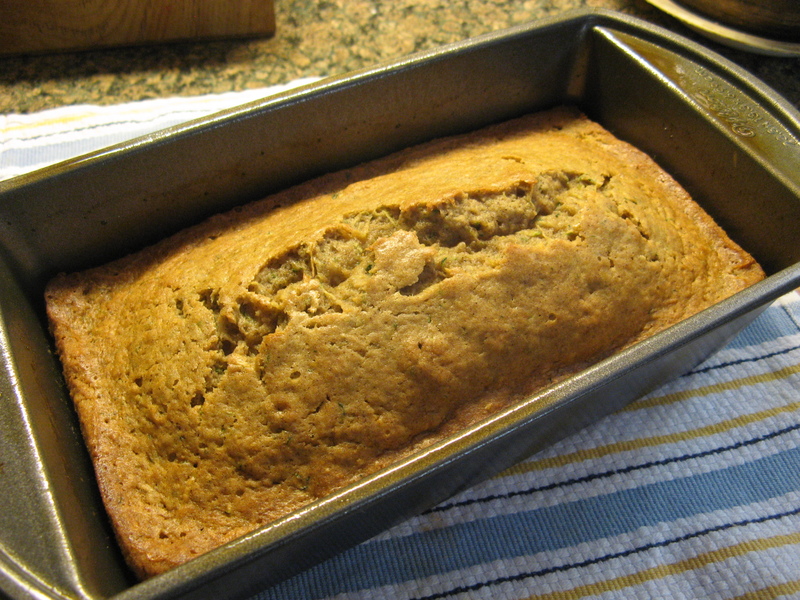 So, in honor of Fall finally arriving I bring you my first pumpkin treat of the season… Pumpkin Bread. 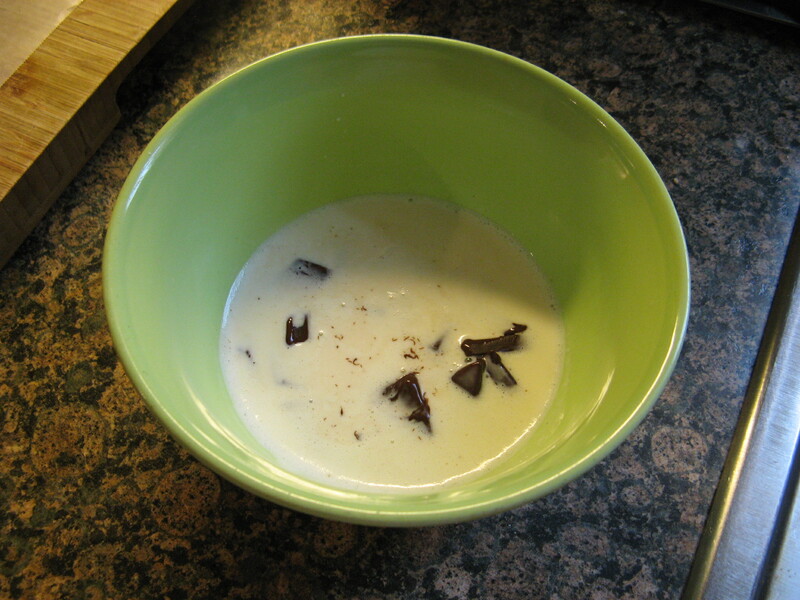 A simple yet delicious treat that I was quite surprised I hadn’t made before. 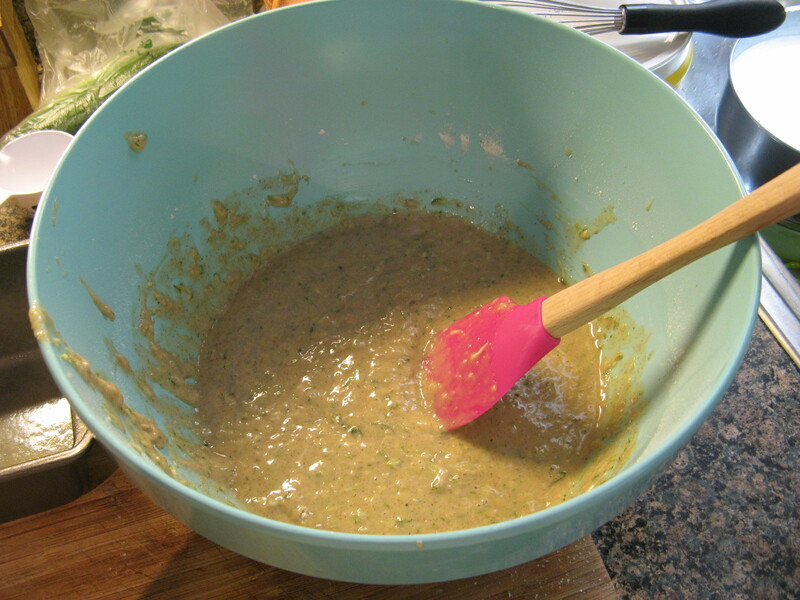 I opted to halve the recipe and use the remaining pumpkin puree to make Pumpkin Pancakes, unfortunately they didn’t come out that great – there wasn’t much pumpkin flavor. Hopefully I’ll attempt them again before the end of the season, if not, there are some other pumpkin recipes that I can’t wait to try and share. 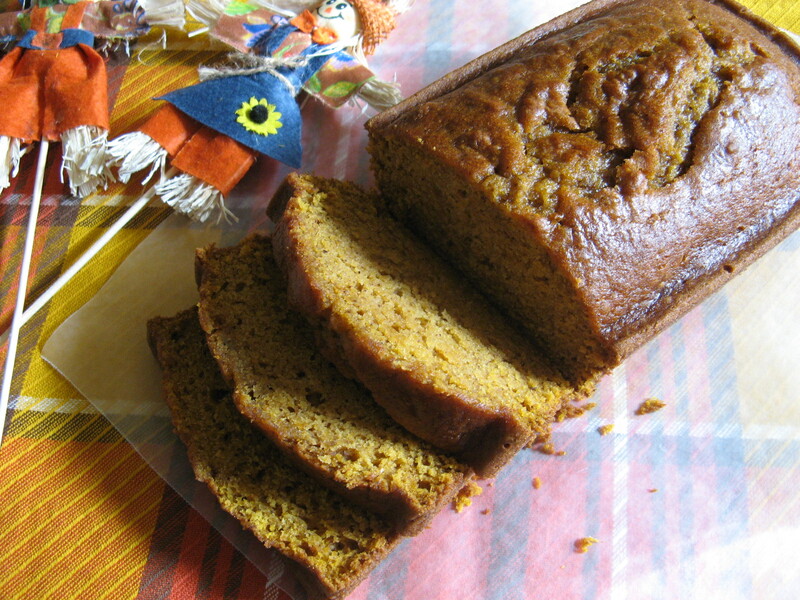 But for now back to the… Pumpkin Bread! Stir together the sugar and oil and then add in the eggs and pumpkin. 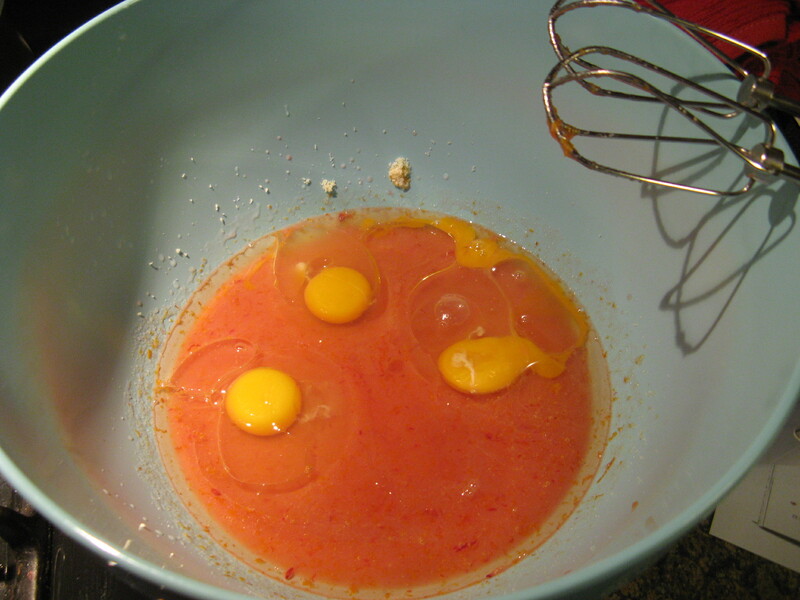 You could also use a hand or stand mixer on the lowest setting. 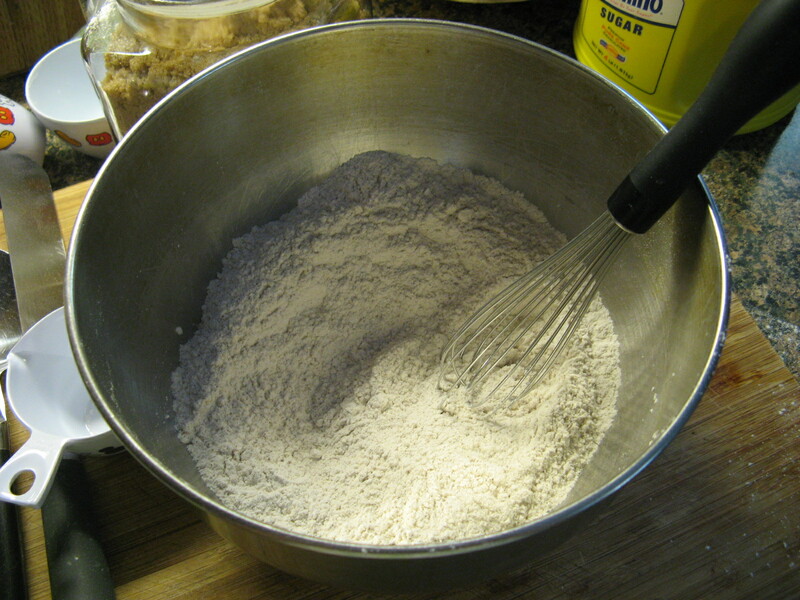 In a separate bowl combine all of the dry ingredients, the flour to the ground cloves. 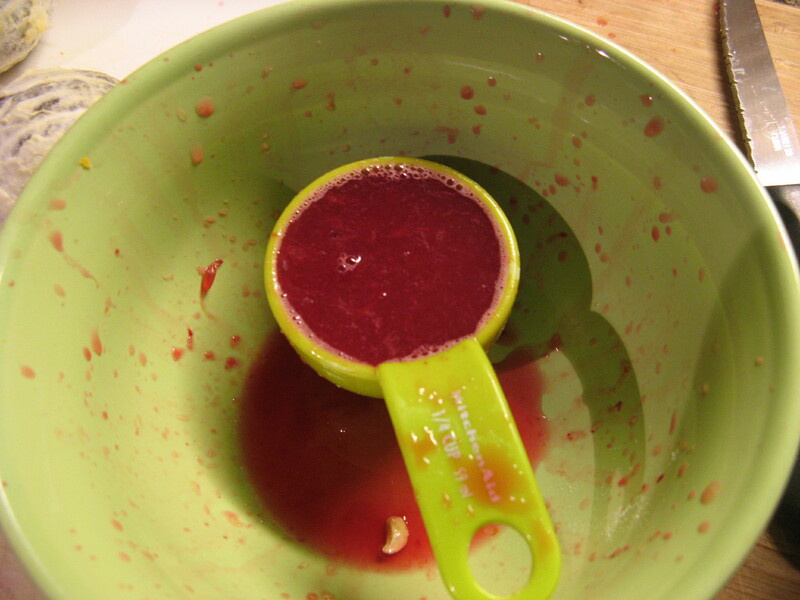 Blend the dry ingredients into the pumpkin mixture, alternating with the water. 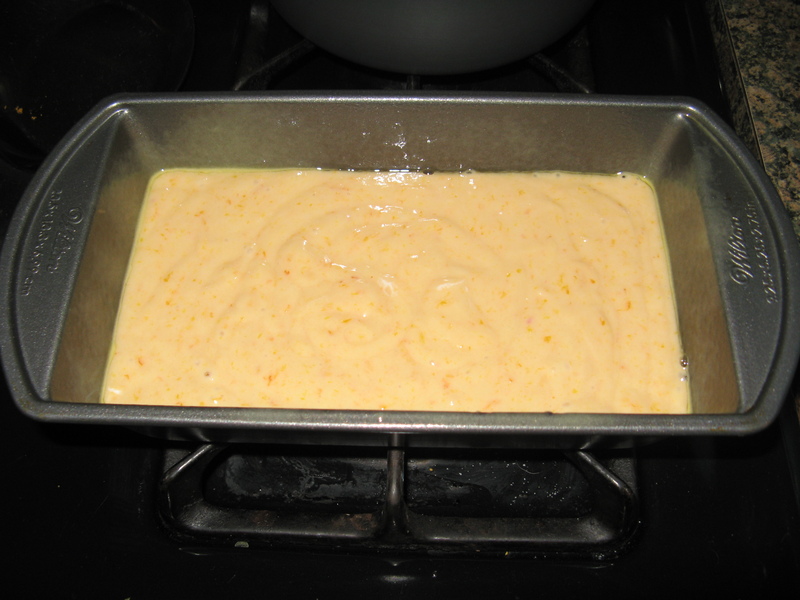 Divide the batter among the loaf pans and bake for 30 to 40 minutes, or until a cake tester comes out clean. Let stand for 10 minutes and then remove from the pans and let cool completely on a wire rack. Another mini road trip meant it was time to bake another dessert that wouldn’t require refrigeration. 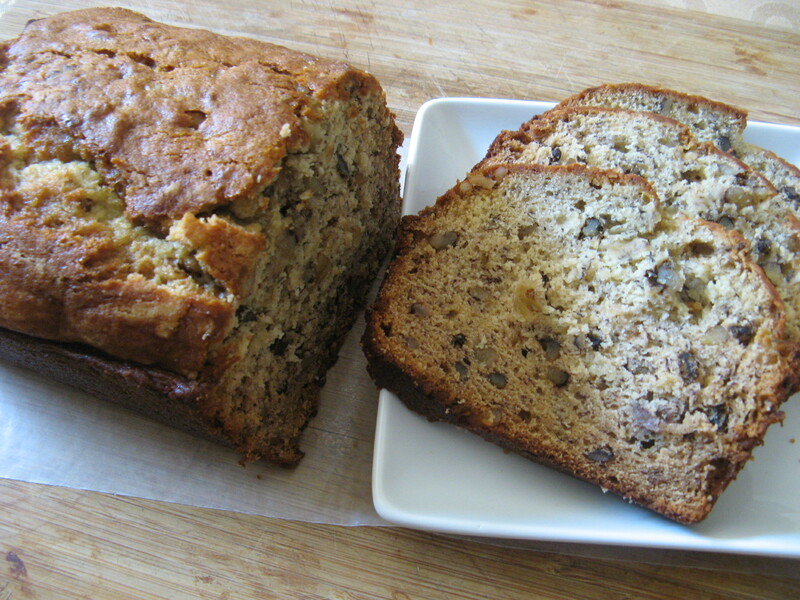 This time I went with a Zucchini Spice Bread. 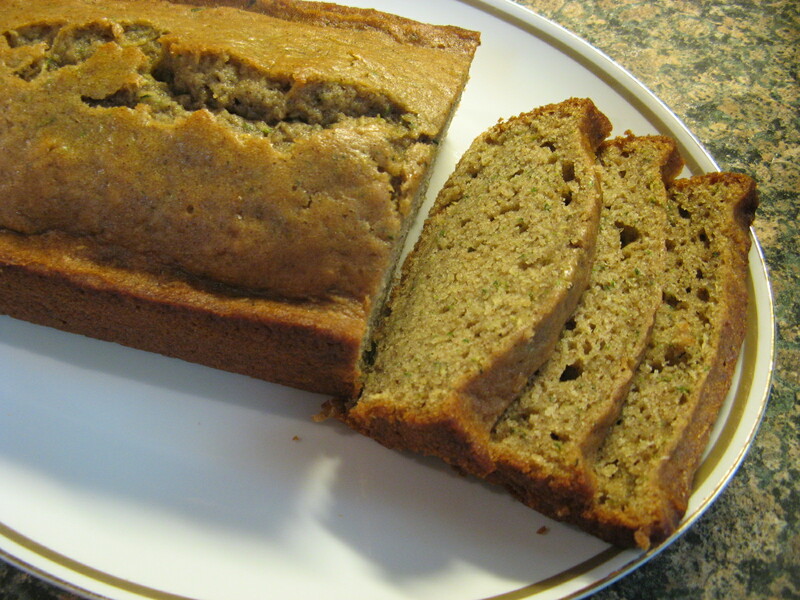 If you are not a fan of zucchinis, or vegetables for that matter, no worries the addition of some warm spices masks the fact that a vegetable is the main ingredient in this delicious loaf cake. Luckily for me, I love all vegetables – even those bitter Brussels sprouts. 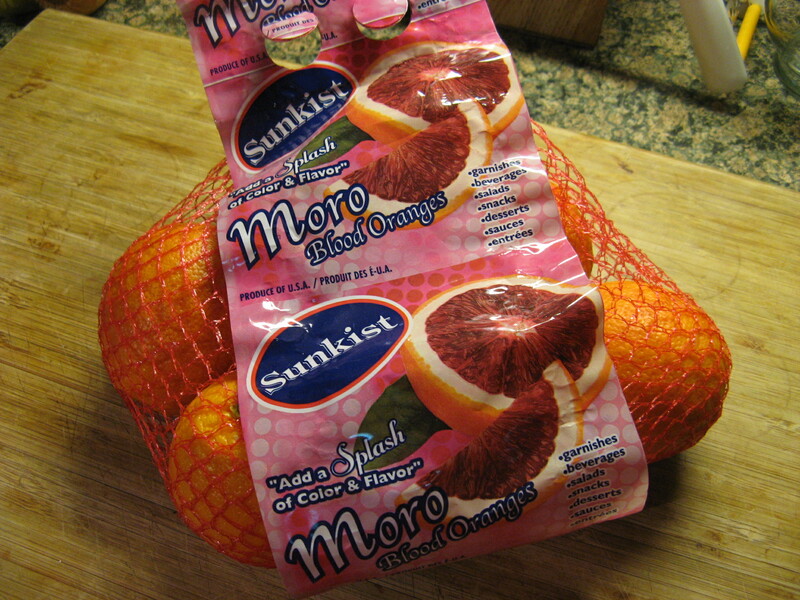 Trust me; they can be delicious when made the right way. 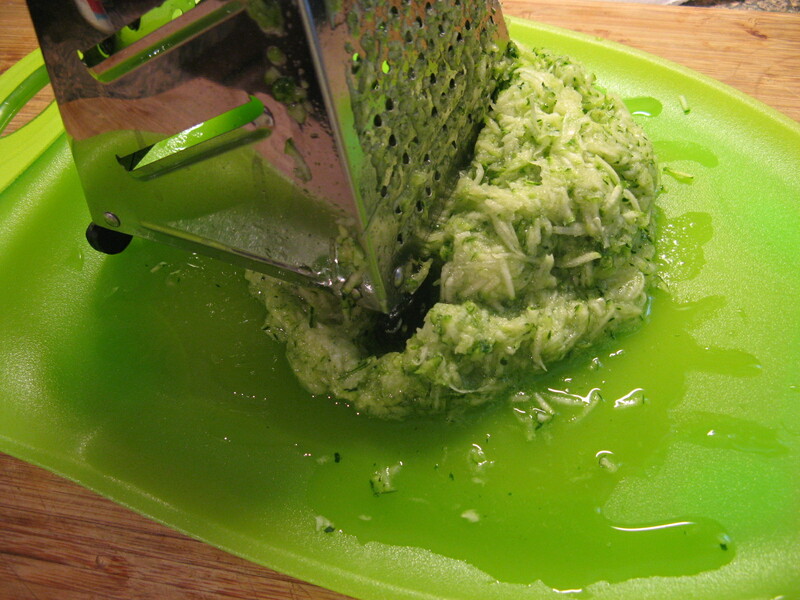 I began by grating a medium-sized zucchini. While the recipe called for the zucchini to be coarsely grated I opted to finely grate it which I think added to the moisture of the bread. Next I whisked together the dry ingredients; flour, baking powder, baking soda, salt and the spices: cinnamon, ginger, nutmeg and ground cloves. 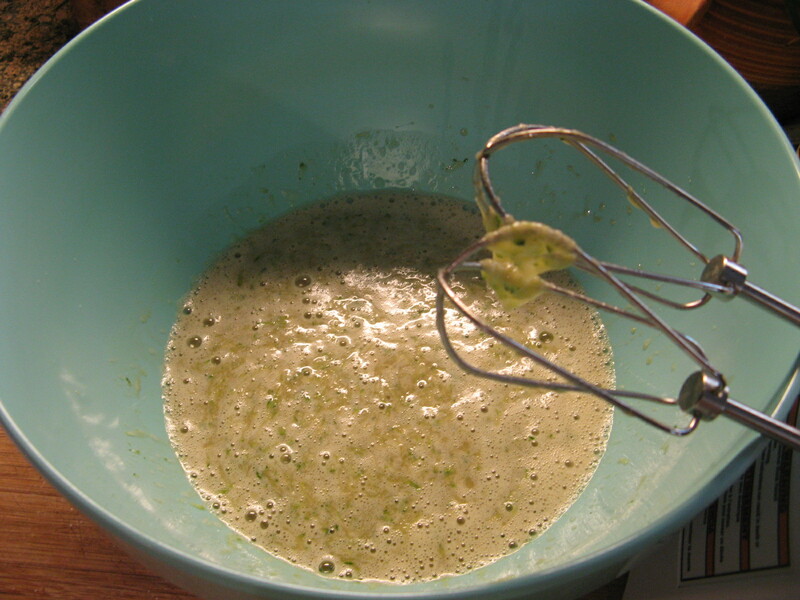 I then added in the flour mixture and mixed it until it was just combined. 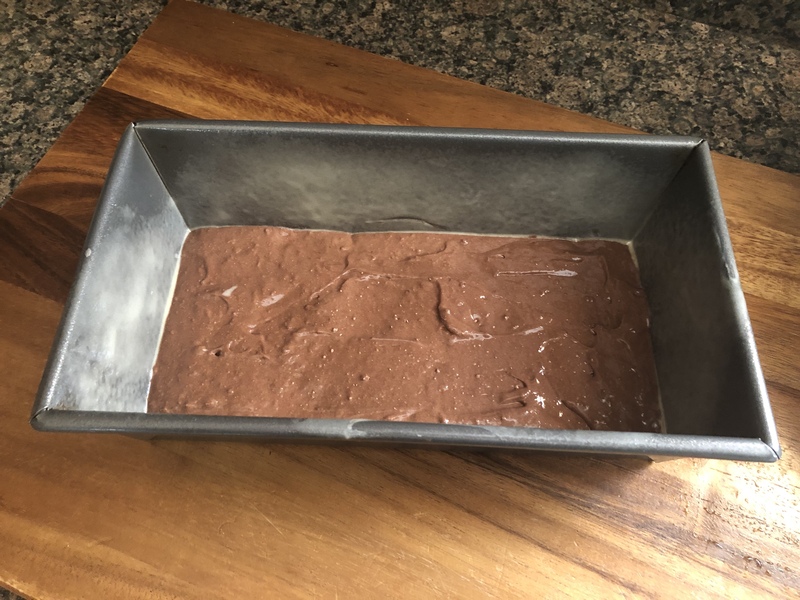 After pouring it into my prepared loaf pan – I sprayed it with baking spray – I baked it in a preheated 350 F oven for about 50 minutes. 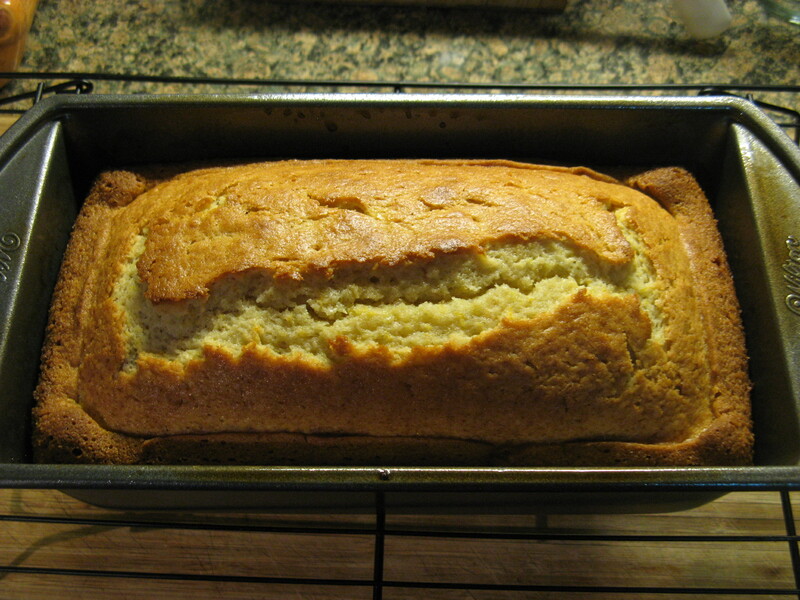 The cake smelled delicious right out of the oven and I couldn’t wait for it to cool so I could try a piece. After letting it cool for a half hour in the pan and then transferring it to a wire rack to cool completely I was finally able to slice into the loaf and I definitely wasn’t disappointed. It was incredibly moist and the spices were a perfect touch. 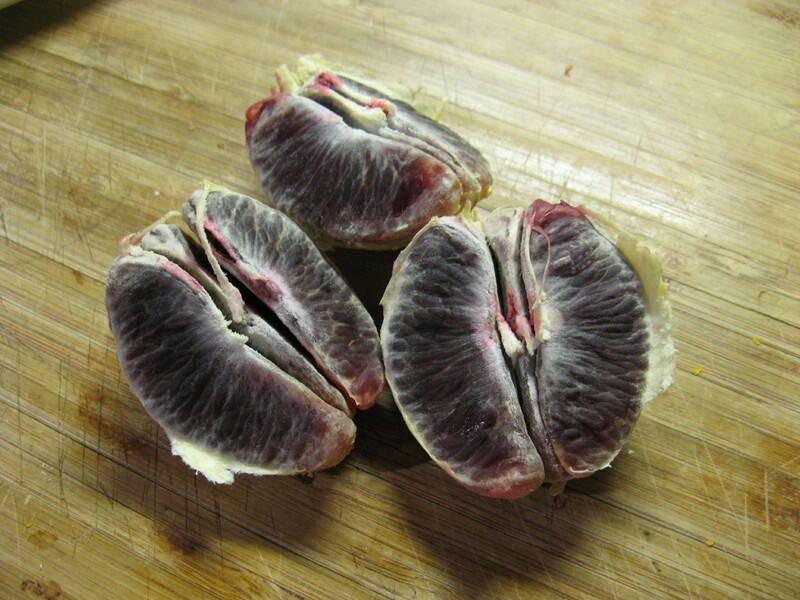 Next time I make it though I will probably add in some walnuts for a little texture and added flavor. 1. Heat oven to 350 F. Grease a loaf pan (I used a 9 1/4 x 5 1/4 inch pan.) 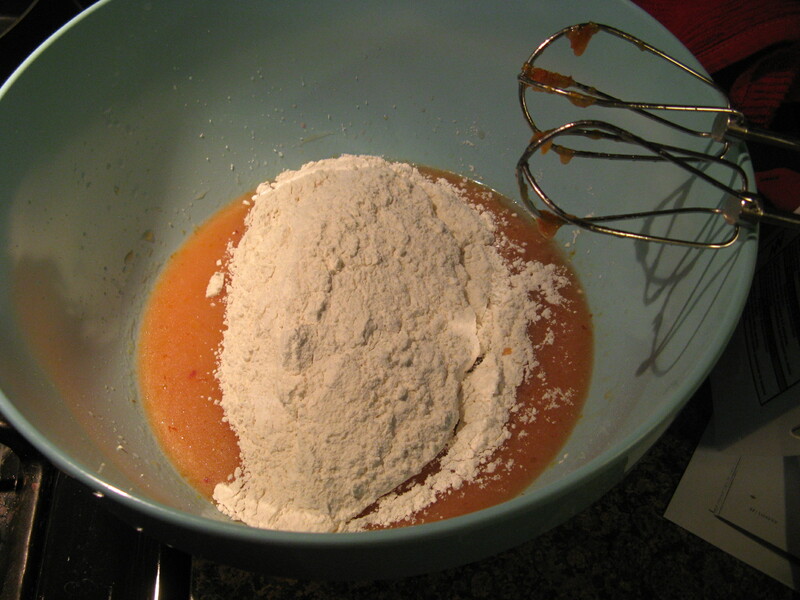 In a medium bowl, whisk together the flour, baking powder, cinnamon, ginger, salt, baking soda, nutmeg and cloves. 3. 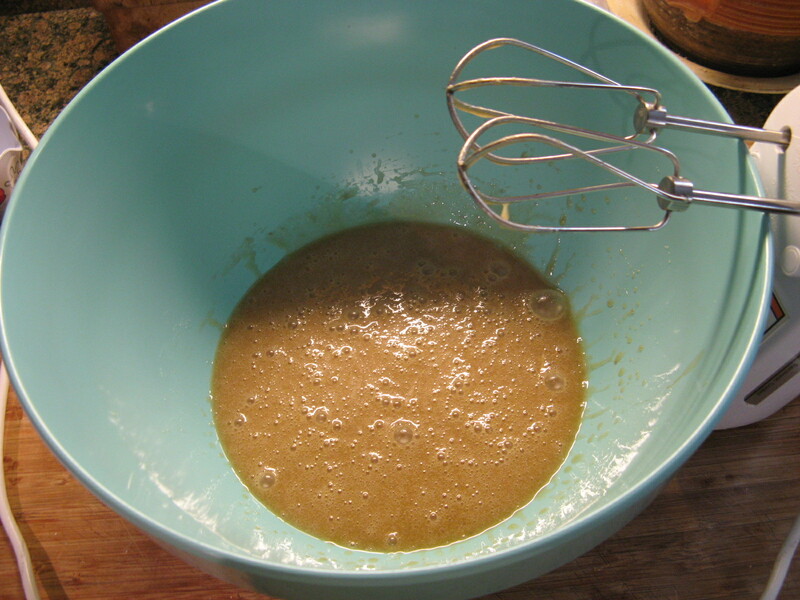 Spread the batter in the prepared pan bake until a toothpick inserted in the center comes out clean, 50 to 60 minutes. Cool in the pan for 30 minutes, then transfer to a wire rack to cool completely.